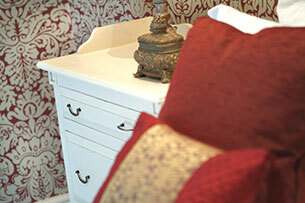 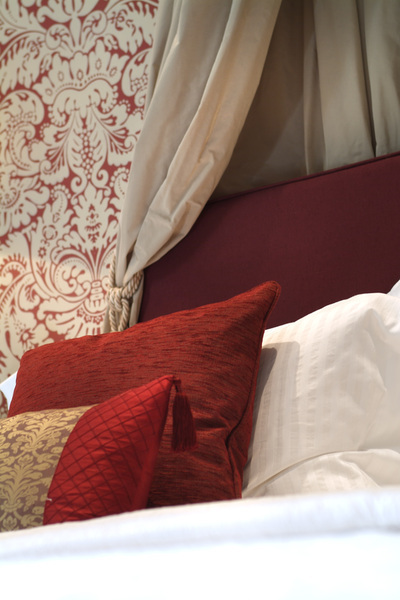 Strickland is a beautifully crafted room, with a spacious king size bed and gorgeous hand blocked Farrow & Ball wallpaper. 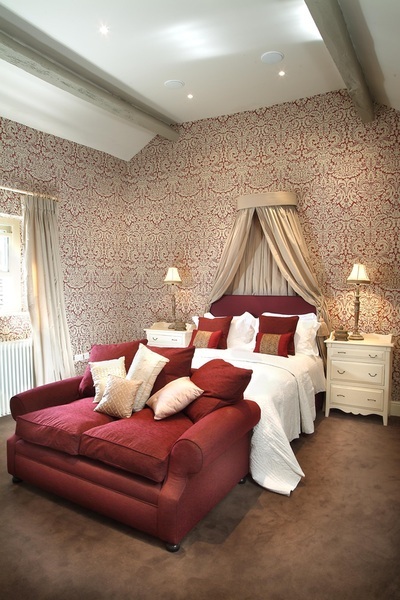 This room also features a very comfortable settee, perfect for sinking into whilst listening to the sounds from the Roberts radio or watching the television. 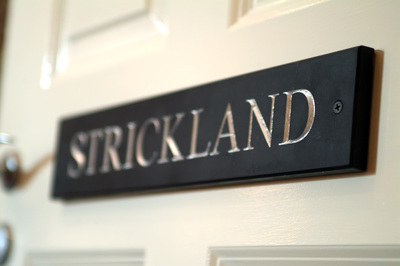 As is the case with all of our rooms, Strickland has a lovely adjoining bathroom with a stylish roll top bath and separate powerful shower, perfect for preparing you for a night of dining.